I had my mind set on hiking Tajumulco a few weeks before we departed Mexico. After studying the route I decided it would be an easy day hike. 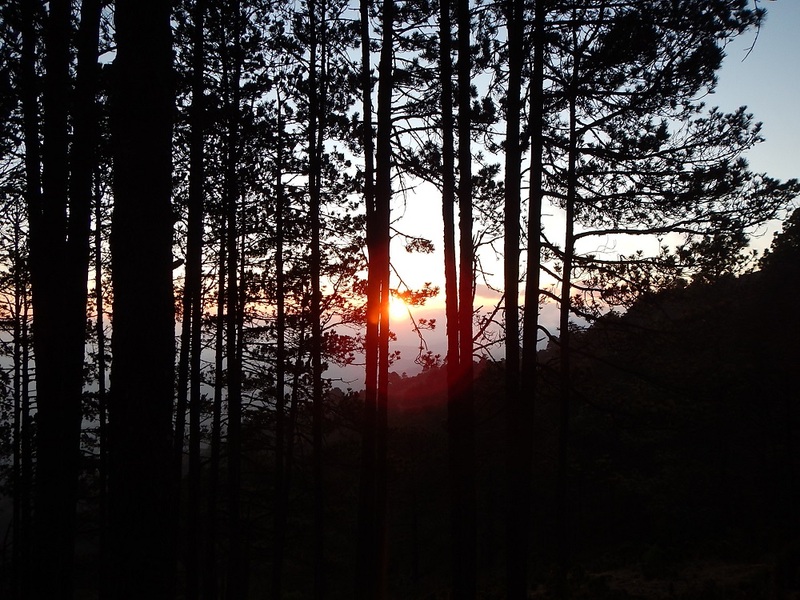 My plan laid out as follows: Drive to Xela and find a place to camp in the city ( Xela is the cities indigenous name that most commonly it is referred to as, Quetzaltenango is where you can find it on a map). Shannon and Kaleb would chill out here in the city and I would leave early in the morning returning in the evening from the hike. I would use a guide service mainly for ease of transportation to the trailhead that is a 2 hour drive away in each direction from the city. After speaking with some guide services the day we arrived in Xela this plan got scrapped. All the guides shook their head at my idea of doing the hike in one day and only offered their routine trip which involved two days and camping on the Volcán one night. 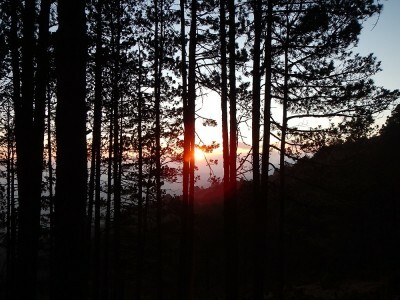 New plan, we drive to Tajumulco and I do the hike myself in one day. We arrived at the trailhead the next day with clear skies and began to look for a place close by to camp so I could get started early the next morning. (At this point I need to mention that whenever our first plan does not workout we usually have a better experience overall). The first person we spoke with about a place to camp invited us to camp next to his house with his family just across the street from the trailhead. 1) “where are your children?” Which was followed by: “you don’t have children?” This was followed by: “how old are you?” and then followed up with: “oh, I guess it’s not too late if you start now”. Shannon, Kaleb and I then took a late afternoon stroll about a mile up from the trailhead so I could glimpse at my route up the cone for tomorrow’s hike on the volcano. We returned and were informed by the oldest daughter of the family that her brother would be my guide tomorrow, Great! 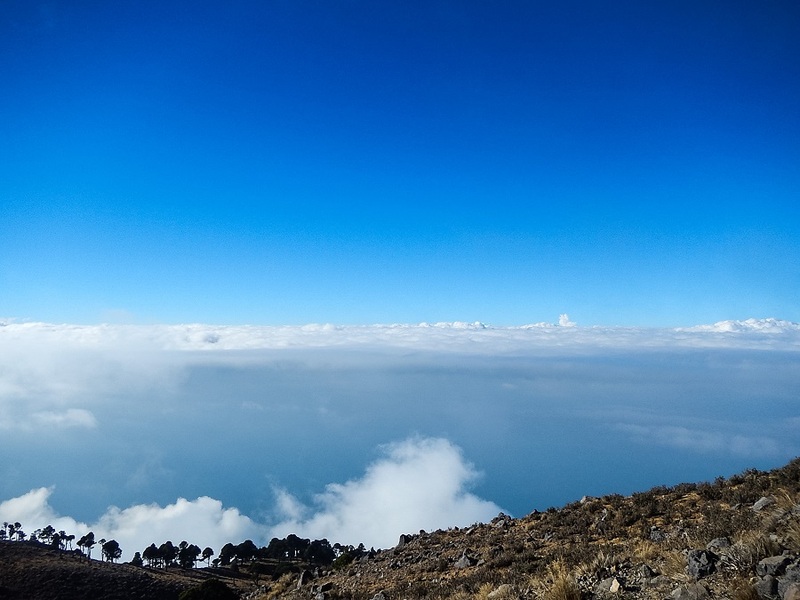 The day before I summited Tajumulco, we were told by locals it was an unusually clear day, you can see the cone in the far background. Now I figured my guide would be one of the older siblings of the family. I was a bit surprised when Hutco came home that evening. He was 13 years old! When Shannon asked him if he knew the route he said “aaahh yea, this is my backyard”. I was convinced and we agreed to leave at 5am. Hutco did not feel well the next morning and he was moving very sluggish until the sun came up about an hour after we started hiking. One of his older sisters joined us as well for the trek. We arrived at the summit in just under 3 hours. We had some snacks, took in the view and the kids paid respect to their past relatives as the locals do whenever they go the the summit. The hike was very straight forward and anyone with route finding skills could accomplish this trek without a guide. My experience with the local children was priceless though and made my experience more memorable. Hutco lighting fireworks. Between Oaxaca Mexico and Northern Guatemala fireworks are used to celebrate just about anything. What a wonderful journey, thank you for sharing..
Hey! My name is Patrick, I am from Austria and plan to travel to Central America this Summer. – At what altitude does the hike start? 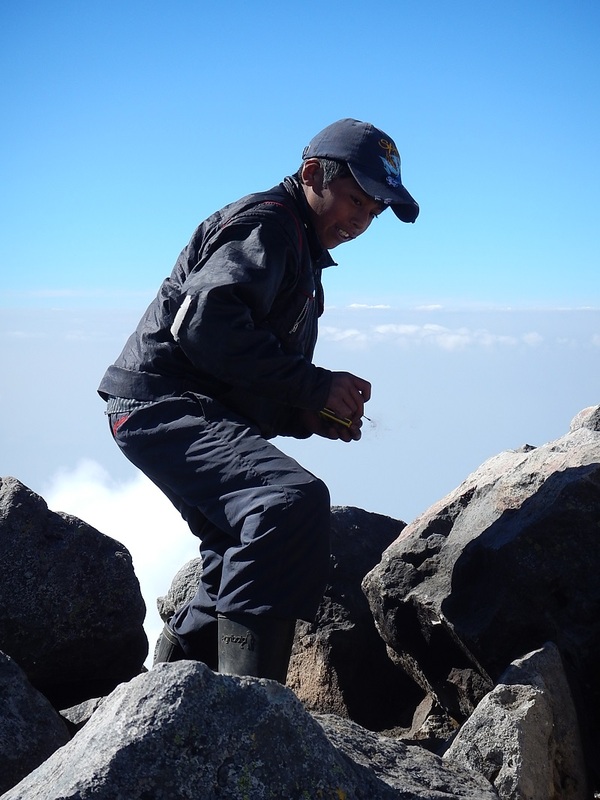 Some people say they started at 3100m, other people say they started at a height of about 2300 meters. – Do you still remember where the trail begins? If yes it would be really really helpful if you could send me a Google Maps link of where you think you started your hike. I hope you read this anytime soon, I would really appreciate an answer. Check out my Guatemala maps page here You will find the trail head marked on it. The trail meanders a bit before you pass the tree line through some drainages. Basic route finding skills will get you to the top without a guide though. 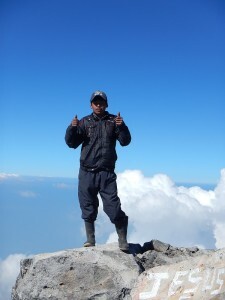 All the guide services do the hike in two days with a overnight on the Volcano. I was easily able to complete the hike in one day though. Have a great trip. 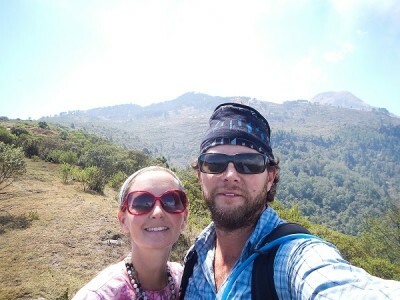 I’ve been generally advised not to hike solo as a woman in Guatemala. 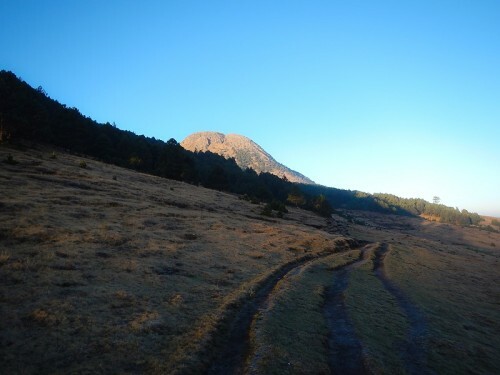 But when I read that Volcan Tajumulco is only about 9 miles, and considering how I have high altitude experience, I want to get this hike done in 1-day. Do you know where I can find a guide that’d be open to this? I paid a young brother and sister to show me the way. There house was just up the road from the trailhead. The boy said he wanted to be a guide when he was older. They would be teenagers by now. Any of the young locals should be able to show you the way. Be safe and have fun!